BrainSkip 17 – The Beginners Guide to Heckling. Don’t! BRAINSKIP 17 – THE BEGINNERS GUIDE TO HECKLING.DON’T! Last week, while gigging in the lovely town of Birmingham, I asked the question, of the ladies I add, of what they liked about Irishmen. Several shouted the voice, accent etc.. While one gentlemen shouted Passports. When asked why he shouted passport, he said, it’s good so they can go home, because all the roads have been built. Having put the heckle down with the customary, “We only built the road to your mothers house, because that was the road we were travelling every day” – (OK, I wished I’d said that, as it was, I was in too much of a rage to even do anything about it and instead, security were called, to pull me off him) So this week, I thought it’d be nice to revel in some of the finer put-downs by fellow comedians. Ahh, Fridays! 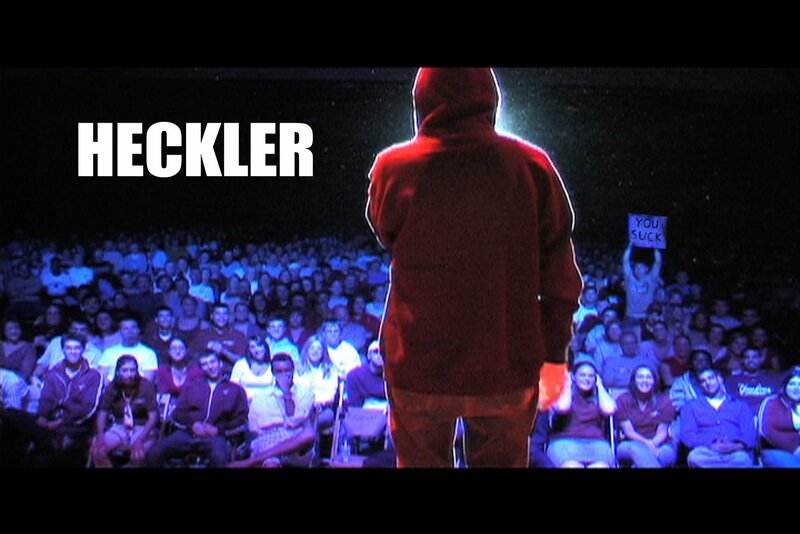 After the critical drubbing that The Mask 2 received, Jamie Kennedy decided to embark on an exploration of the art of heckling and what it means to performers and critics alike. In an incredibly thoughtful, funny and often very raw experience, JK confronts the bloggers and journalists who have wished him dead and asked many questions including how personal can you really get with heckling. Really, it is like red rag to a bull. Also you should face a comedian when he comes on stage or he will do terrible, terrible things to you behind your back. 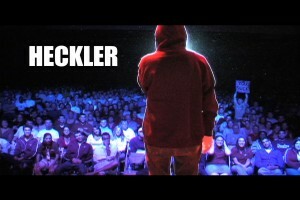 This is what happens when a heckler tries to escalate the situation. And it’s always the mothers get it, never the dads, the dads are never brought into this situation, they’re never blamed for anything, they never get anything bad done to them, it’s always the poor mothers. This is Jimmy Carr notching it up. Caucasian – American comedian Rich Vos in front of a mostly African American Audience getting heckled in the middle of an Obama Joke. It was a thin line, but he walked it. Yes indeed, he walked the line. IF THE COMEDIAN IS MORE INTELLIGENT THAN YOU OR IS RICHARD HERRING, WHICH MEANS HE’S BOTH, DON’T EVEN BOTHER. One of my favourite comedians, Richard Herring, dealing with a continuous heckler in the best way possible, by giving him so much rope to hang himself several times. SOMETIMES YOU ARE ALLOWED PUNCH THE COMEDIAN.OK, ONLY ONCE. This Russian American comedian is struggling with his description of homophobia on stage when he alights upon a Chechan audience member. What. Are. The. Chances. Pauly Shore got punched in the face by a Cowboy. Or did he? There endeth the lesson. Don’t do heckles kids. Just don’t.